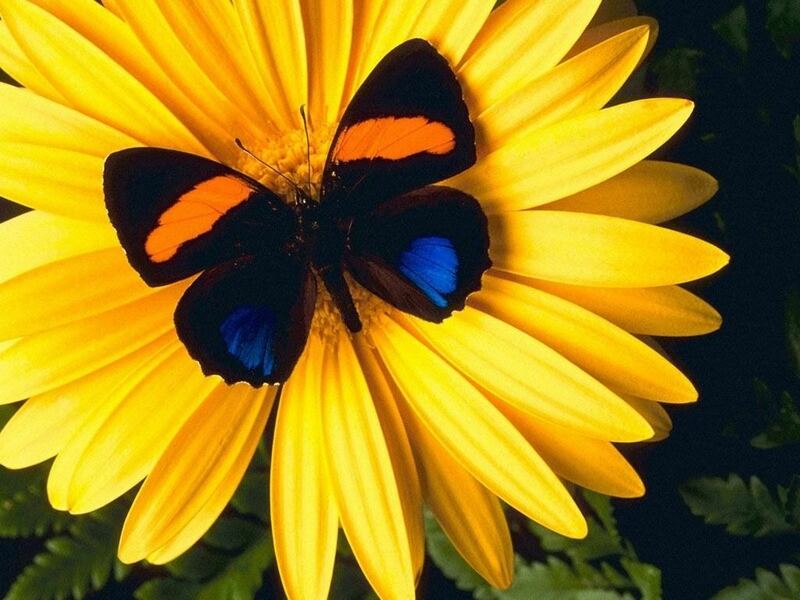 Butterfly on a Flower. . HD Wallpaper and background images in the Butterflies club tagged: photo butterfly butterflies flower flowers sunflower sunflowers. This Butterflies wallpaper might contain chicory, chicory root, black eyed susan, rudbeckia hirta, rudbeckia serotina, common sunflower, mirasol, and helianthus annuus.